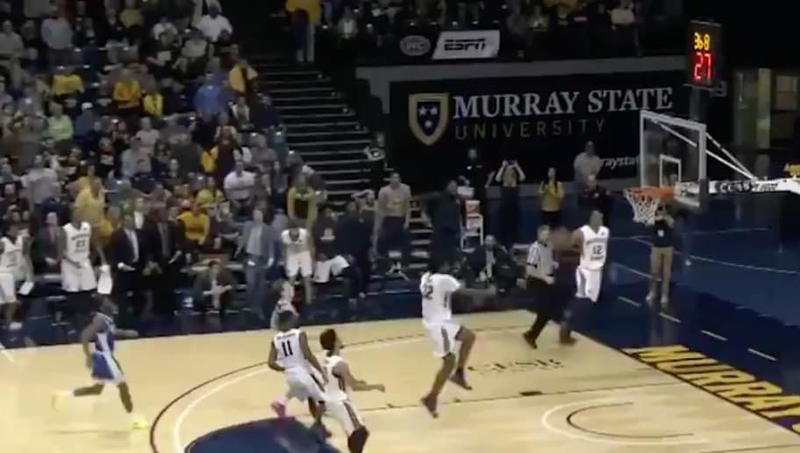 ​Do NOT blink when Murray State guard Ja Morant has the ball in transition. Morant is throwing down in-game windmills like it ain't nothin', and here he took off from outside the restricted area late in the second half during the team's 86-75 win over Eastern Illinois. This certainly isn't the first highlight we've seen from Morant. He's been handing out ​posters all season long. The small-school standout has transformed himself into a potential NBA lottery pick with his dynamic athleticism and playmaking ability. Morant has elite level speed and quickness paired with EXPLOSIVE leaping ability. The sophomore point guard plays with a swagger, and at just 19 years of age he has plenty of upside to left to develop. A lot of NBA scouts compare Morant to Sacramento Kings guard DeAaron Fox. Morant is averaging 24.1 points per game to go along with 10.4 assists and 5.4 rebounds. Look out for the mid-major superstar coming to an ​NBA arena near you very soon.